It also explains your options around our use of your personal information and how you can access and update this information. Serato collects information to operate effectively and provide you with the best experiences. Personal information is collected directly from you and other information is collected when you interact with our websites, products and services. Personal information is any information about an identifiable individual and is collected directly from you. Personal information you provide us may include information such as your name, email address, billing address, telephone number, personal profile and payment details. You can always choose not to provide personal information to Serato, but if you choose not to do so, in many cases we will not be able to provide you with our products or Service, or respond to any queries you may have. Serato may combine personal information with other information that does not, on its own, directly identify you (“non-personal information"). For example non-personal information such as which parts of our websites you have visited may be associated with your Serato account. This allows Serato to provide you with a more personalised experience such as keeping you up to date with relevant product releases, content and sales via marketing communications (with your consent). If we do combine non-personal information with personal information the combined information will be treated as personal information for as long as it remains combined. If you use the "Facebook Connect" feature with our websites, you give Serato permission to access personal details that you have provided to Facebook. This includes your name, country and email address. Serato complies with Facebook's Platform Policy in order to provide this feature to our customers. We collect information when you use our websites. We may collect information sent by your browser to our servers whenever you visit a Serato website. For example your browser may tell us your IP Address as well as browser type and language, URLs of referring/exit pages, operating system, time/date stamp, system configuration information and documents and files that you downloaded. We also may collect information about how you use our websites, such as which parts of our website you have visited, by using cookies and similar technologies. Error reports and performance information such as where the error happened in the software and system or software performance before and after the error occurred. General usage information such as features used, devices connected and length of time using the product. Certain information that we collect when you use Serato Products is absolutely necessary in order for us to provide you with our Service, such as whether you are on a trial or full licence, what type of product/licence you have and if compatible hardware is connected. You won’t be able to opt-out from the collection or processing of this information. Information we collect about how you use our Products (including system information, certain product information and general usage information) can be used to provide you with a more personalised experience, provide feature usage data to the products team to help improve the product and to improve support. Serato Products may allow you to opt-out of sharing information about how you use the Product in the setup or settings panel of the relevant product. Emails we send you may include a technology (called a web beacon) that tells Serato whether you have received or opened an email, or clicked a link in the email. Marketing emails we send you may be tailored based on your interactions with our websites and products. If you do not want us to collect information from Serato emails, or you don't want to receive Serato's marketing emails anymore, you can unsubscribe by using the unsubscribe link within each email or by changing your notifications settings when logged into your Serato account. Any payment information, excluding name and contact details, provided by you is not stored by us. Purchases from Serato, either on Serato’s websites or in-app, that require the inputting of credit card information use specialised credit card payment service Braintree, for the purposes of processing credit card data. Cookies, web beacons and other similar technologies are used by Serato and our third party partners (for example, our advertising and analytics partners) to collect information. For more information on cookies and other similar technologies, please see our cookie notice. Enabling us to provide you with Serato products, websites, services, support or information you have requested. Sending you marketing, advertising, educational content, promotional messages and other information that may be of interest to you. These messages may be tailored based on your interactions with our websites and products. Sending you service, administrative messages, reminders, technical notices, updates, security alerts and information requested by you. Improving our products and services and developing new products and services. Diagnosing problems in our products and websites. Registering and activating your Serato software. Enabling you to participate in forum discussions. Enabling you to make purchases when using the Serato Service. Conducting research about our customers and statistical analysis (on an anonymised basis). Protecting and/or enforcing our legal rights and interests, including defending any claim. For any other purposes authorised by you. 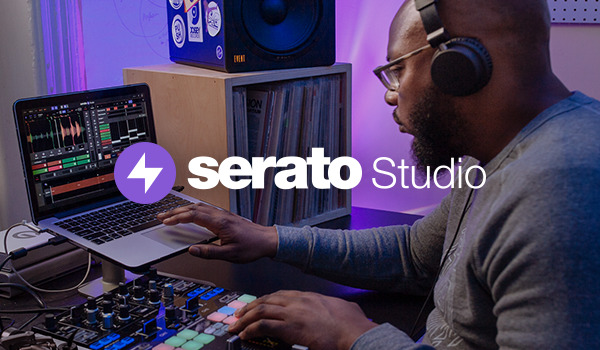 Serato works with service providers and business partners that support our Services. We may work with these companies to provide services including customer support, processing credit card payments, and sending marketing communications. These companies may have access to or process your information for the purpose of providing those services for us. They are not permitted to use your information for their own purposes. At times Serato may also make certain information available to its business partners that work with Serato to provide products, services or that help Serato market to customers. A business that supports our Services may be located outside New Zealand. This may mean your information is held and processed outside New Zealand. It may be necessary - by law, legal process, litigation, and/or request from public and governmental authorities within or outside your country of residence for Serato to disclose your personal information. Additonally, in the event of a reorganisation, merger, acquisition or sale we may transfer or share any and all personal infromation we collect to the relevant third party. Serato is committed to protecting the security of your personal information. We use a variety of security technologies and procedures to help protect your personal information from unauthorized access, use or disclosure. We store the personal information you provide on computer systems that have limited access and are in controlled facilities. For example Serato websites are hosted with Amazon Web Services, which has data centers located throughout the world. This means your information may be transferred across national borders. While no service is completely secure, Serato takes reasonable measures to help protect information about you from loss, misuse, unauthorised access and alteration. For example, we ensure that our third-party data center vendors provide adequate security measures. In addition, your data is protected with encryption, such as Transport Layer Security (TLS) or Secure Sockets Layer (SSL), during transition over the Internet. We retain personal information we collect from you where we have an ongoing legitimate business need to do so (in connection with the purposes set out as above). When we have no ongoing legitimate business need to process your personal information, we will either delete or anonymise it or, if this is not possible (for example, because your personal information has been stored in backup archives). then we will securely store your personal information and isolate it from any further processing until deletion is possible. It is your responsibility to ensure that the personal information you provide to us is accurate, complete and up-to-date. You may access, erase or correct personal information we hold about you by logging into your Serato account at any time or by making a request to us in writing. You also may object to the processing of your personal information (including for direct marketing) by making a request to us in writing. We will process your request as soon as reasonably practicable, provided we are not otherwise prevented from doing so on legal grounds. If we are unable to meet your request, we will let you know why. We may decline to process requests that are frivolous/vexatious, jeopardize the privacy of others, are extremely impractical, or for which access is not otherwise required by local law. Where we have obtained your consent in relation to your personal information (such as your consent to receiving marketing communications or your consent to the placement of certain types of cookies and similar technologies), you can withdraw this consent at anytime in the notifications section of your account or by changing your cookie preference. Serato websites include the Serato online community areas such as the Serato blog and forum. You should be aware that any information you provide in these areas may be read, collected, and used by others who have access to them. Please notify us if you would like your personal information removed from a Serato online community. By participating in the Serato online community you agree to follow the Serato Community Rules.